When an aid agency is running a program in a community, the program invariably requires the transport of people and goods from place to place to meet the needs of the community in question. This can range from small projects needing only a very small amount of supplies delivered to them from the nearest big city by road, right up to massive famine relief operations transporting hundreds of tonnes of food by cargo plane each day from warehouses far away. 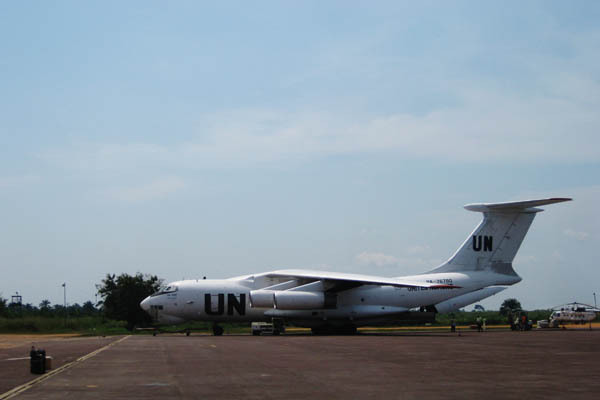 This Ilyushin 76 strategic airlifter plane is being used to transport large quantities of supplies to various MONUC bases in the Democratic Republic of Congo. These planes have a capacity of around 45 tonnes! Incidentally, passengers in an Il-76 run by a different company a few years ago in DRC experienced a rather strange event. When Medical Emergency Relief International (Merlin) responded to the 2010 Haïti earthquake by setting up an emergency reconstructive surgery centre on a tennis court in Port-au-Prince, we had to send many tonnes of supplies from Europe to make it all possible. 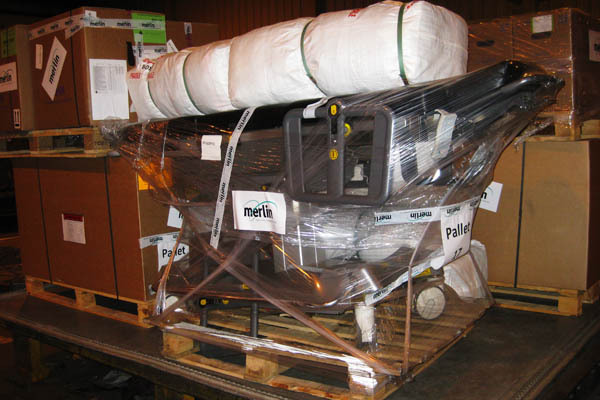 Thomas Cook Airlines donated free cargo space aboard some of their flights to the Dominican Republic, right next door to Haïti, so we loaded huge air pallets at Gatwick and Manchester airports with tonnes and tonnes of medical equipment. 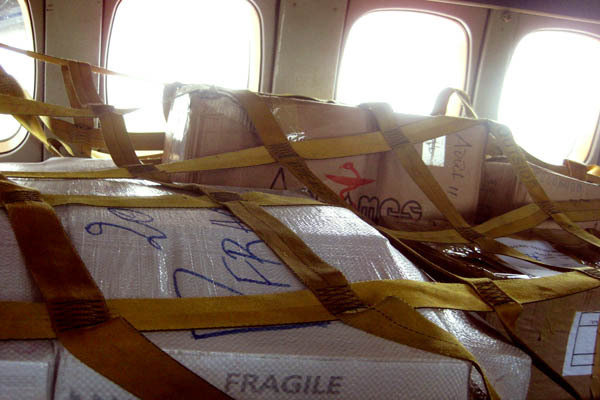 Air transport is very expensive, so the free cargo space was a lifesaver in the literal sense of the word. 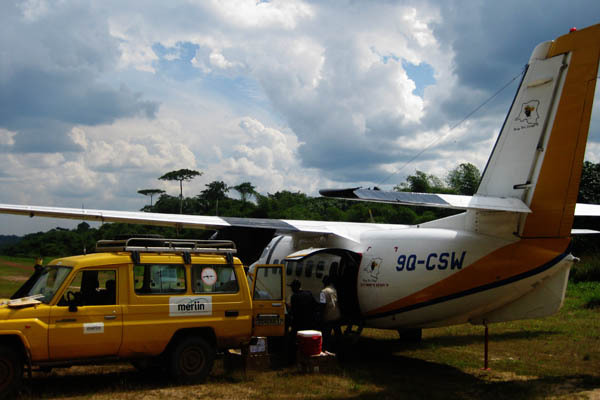 In more remote locations, when air transport is needed, only very small planes or helicopters can be used. A small Let L-410A airplane can carry around 2 tonnes of cargo if there are no passengers on board, and land on dirt airstrips or straight sections of road. 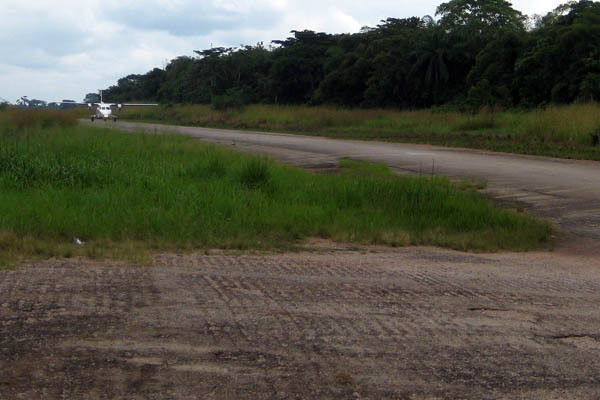 This is the Let L-410A landing at Tingi-Tingi Airport in Lubutu, which is actually just a straight section of the road that links Lubutu and Walikale. Before each landing, Merlin staff check the road and block it at both ends. The pilot does a loop over the road to see for himself that it’s safe to land, then comes down out of the sky and taxis over to our waiting vehicles to offload equipment and drugs and have a friendly chat. 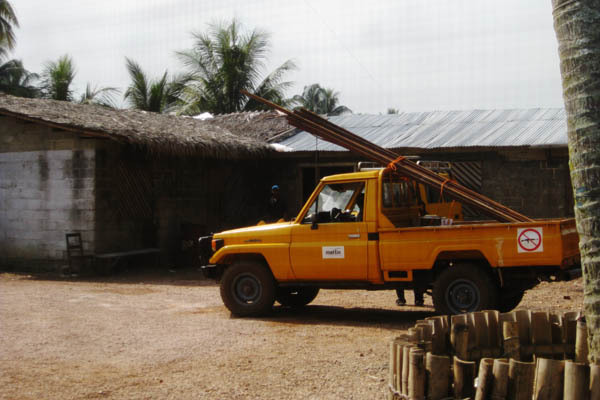 Land transport is really important for aid agencies as well. In a place like Canada, land transport consists of huge trucks, big trucks, medium trucks, small trucks, cars, and sometimes trains. 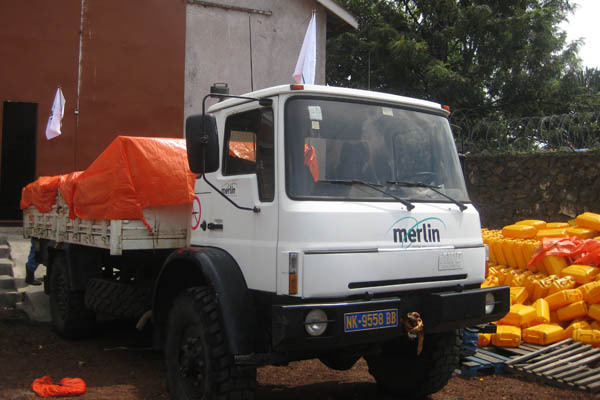 In the places where aid agencies work, like the Democratic Republic of Congo, the options are occasionally big trucks, sometimes medium trucks, often pickup trucks and 4×4 vehicles such as Toyota LandCruisers, motorcycles, bicycles, and occasionally other contraptions like oxcarts. 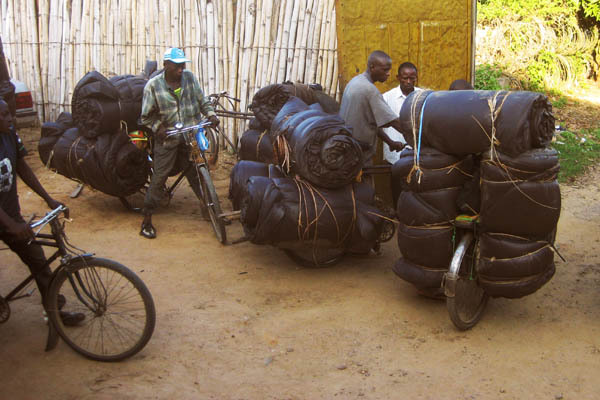 To transport several dozen mattresses from our Kindu office to clinics supported by our Pangi office we hired tolékistes, cyclists who transport things on roads that are not passable, or close to impassable, for vehicles. Often they walk the entire way, pushing the loaded bicycle along narrow forest paths and through mud that can be knee high in places. 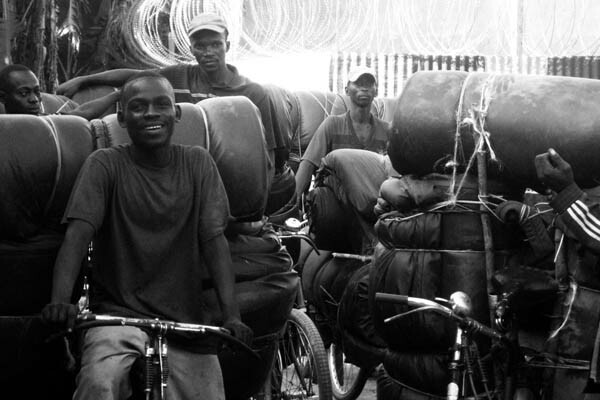 These men below pedaled and pushed about 140km over several days and all the mattresses arrived at their destination intact. When goods need to be shipped long distances without a rush, an alternative to expensive airfreight is seafreight. For instance, when setting up a program in Haïti, it soon became apparent that Merlin would need to purchase a few LandCruisers to get around the country. Logistics staff at head office in London arranged the purchase with a company based in Gibraltar, which arranged to ship them by sea from Gibraltar to Haïti for us to pick them up. In some countries, aid agencies use boats on a smaller scaled, such as when moving around the Irrawaddy Delta in Burma, or transporting goods from place to place within DRC, where there are rivers everywhere. 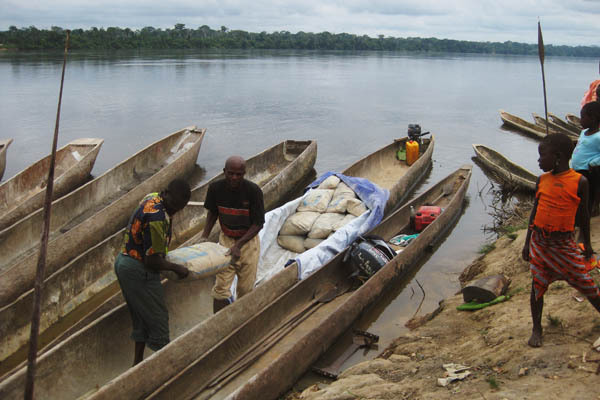 For instance, we transported about 30 bags of cement, each weighing 50kg, in a motorised pirogue from Kindu to Lubao along the Congo River (known along this stretch as the Lualaba River). A pirogue is a traditional canoe commonly used in the Congo, made by hollowing out a tree. On the right of this photo there’s something that looks like a spear, but it’s actually the paddle used for one of the smaller pirogues. There are other ways of transporting things in the places where aid agencies work, some of which really show the ingenuity of the people involved, and I’m sure in the years to come I’ll be able to post some photos of creative transport solutions in tough situations.